It’s a beautiful day on the Sunshine Coast and you’re looking for something you and your family can enjoy? Here are some ideas involving the beautiful Currimundi Lake and Sunshine Coast Kayak And SUP hire. 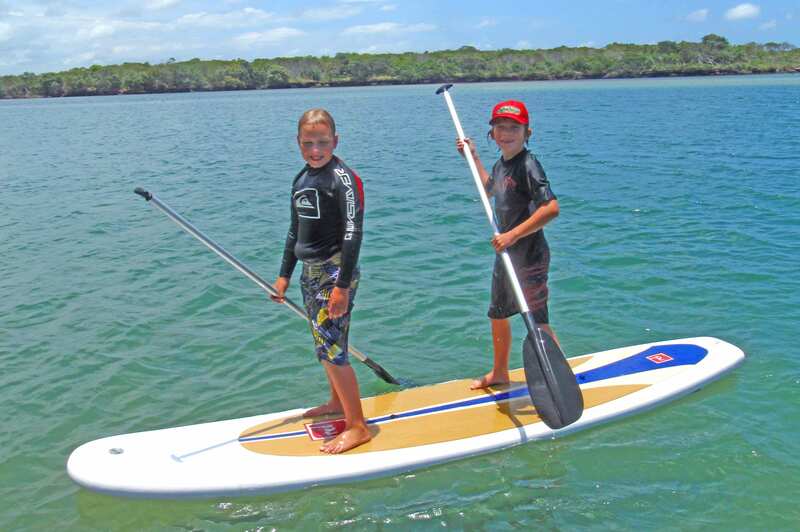 Enjoy a relaxing outing on one of our Stand Up Paddle boards – you can SUP in the lake or hit the waves in the nearby shore break. Enjoy coffee, break fast and lunch at the Cocos Cafe. This entry was posted on Saturday, January 28th, 2012 at 3:32 am. It is filed under Uncategorized. You can follow any responses to this entry through the RSS 2.0 feed.